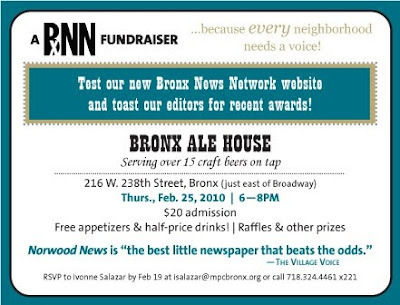 Help us Celebrate and Support the Bronx News Network! Alex just mentioned this in his post on BxNN's 2000th post. We're having a BxNN fundraiser/friendraiser at the Bronx Ale House, a fantastic new bar/restaurant on W. 238th St. near Broadway. It's going to be a great time. 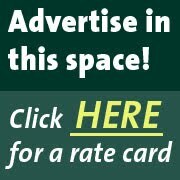 We'll be celebrating some recent awards and testing out our new Web site. If you can't read the invite above the basic details are: Friday, Feb. 25 from 6 to 8 p.m. at Bronx Ale House, 216 W. 238th St. $20 admission, free appetizers, half-price drinks, raffles and other prizes. To RSVP, just call Ivonne at 718-324-4461, ext. 221. Thanks and spread the word!!! It is a very good news. We all came. Thanks.